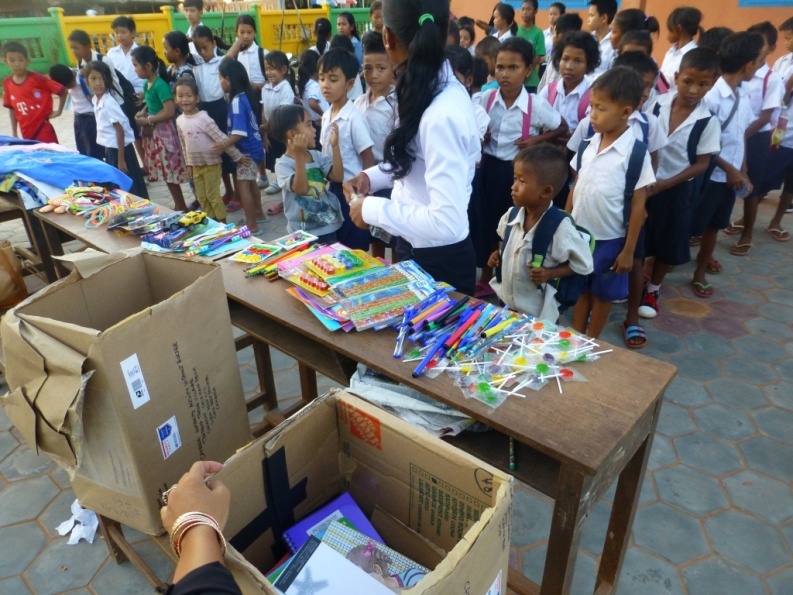 |HOME|Cambodia Humanity Activity without Border-CHAB Schools, Siem Reap. MOBILE HEALTH EDUCATION OF CHAB PROJECT 2017!!! CHAB is a Cambodia registered local non-profit NGO and acknowledged by Government of Cambodia. We set CHAB schools and invest over 8 years of transforming children lives since 2011 in different villages of Siem Reap where we care and educate for at-risk children until they have a real life skill to find safe employment. With your help, children have access to life-change benefits and get the right to enjoy their childhood to learn, play, make friends and grow in a safe and happy environment. CHAB is a hope for every child from community, and we believe every child deserves a loving life from CHAB in Siem Reap. 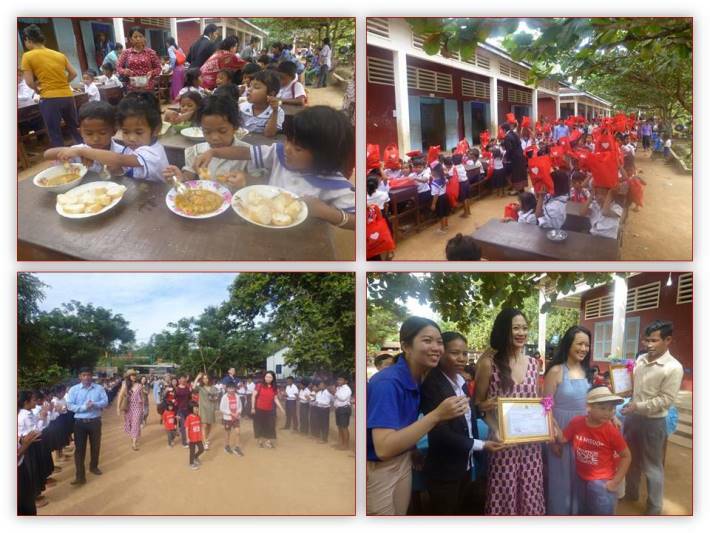 Read more..
Join the most important effective group of people (Genevieve Fenster & Eilleen Forrestal) making a huge difference daily for hundreds of children at CHAB in Siem Reap, Cambodia. CHAB school works community around 30 km from Siem Reap City focusing health care and hygiene education for children and their family. Donate for community now..
Eco-Village Tours give all visitors the most satisfaction travel and are about life changing travel. 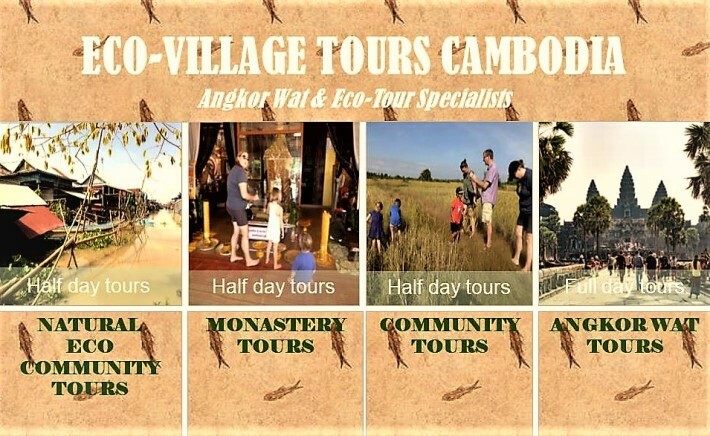 Eco Village Tours not only to provide visitors to Cambodia and beyond with memorable and meaningful tailor-made travel experiences but also to create an income generation for a sustainable funding model to transform lives of children at schools and to support local communities of Siem Reap. 100% of all profits are donated to the CHAB Schools. Funding education through tourism is at the heart of our Eco Village Tours — it´s the very reason we were founded. 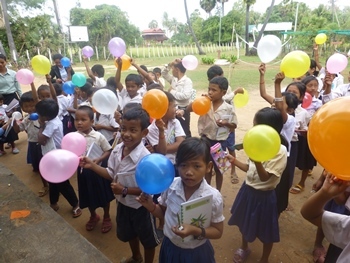 With the firm belief that amazing travel can simultaneously change the lives of the community´s most and least fortunate all of our profits are donated to Eco-Village Tours' Schools, which to date supports over 200 children across 2 Schools in Siem Reap through targeted educational programs. By choosing to travel with our Eco-Village Tours you are already helping to make a difference.